The outsourcing of hosting infrastructure is a common practice with businesses today, the decisions on which route to take can however be a difficult one to decide. With a look at Dedicated Servers (as a leasing option) verses Colocation and the pros and cons of each, you can best determine which path you should take for your business. A Dedicated Server leasing option provides you with an entire server (no sharing) at a fixed monthly price. Colocation is where you are responsible for buying the servers (and maintaining them) and the colocation company is responsible for physical hosting, security, cooling, power, space, bandwidth and networking. Which one is best for your company? Below we look at a few pros/cons for each to help better align the best option for you. Your choice will depend on the number of servers your business requires, the goals of your business, and the complexity of the solutions your business provides. It can certainly be a challenge choosing between Colocation or Dedicated Server leasing, as both of them have a lot of positive factors that can benefit any business, as well a couple of things that might be negative. Businesses that opt for Colocation services use their own equipment. This equipment is sent to the Colocation provider’s facility, and installed. Typically you are responsible for all issues that arise when it comes to your equipment (upgrades, maintenance, the works). Some providers offer hands-off services that can help with setup and ongoing repairs however its different from provider to provider. The equipment and software licenses are usually owned by the business that is securing Colocation services. Colocation is able to provide businesses with flexibility to plan for growth, load balancing, and other things that are not available with a lease. Equipment can be fully managed by the provider to make business easier. When a business owner opts for Colocation, he/she will spend a little bit more money than leasing by using their own equipment. Replacement parts, upgrades, support. The client is responsible for everything that is needed with the hardware. Should your RAM or Hard Drive fail, you are responsible for paying for parts and installation. 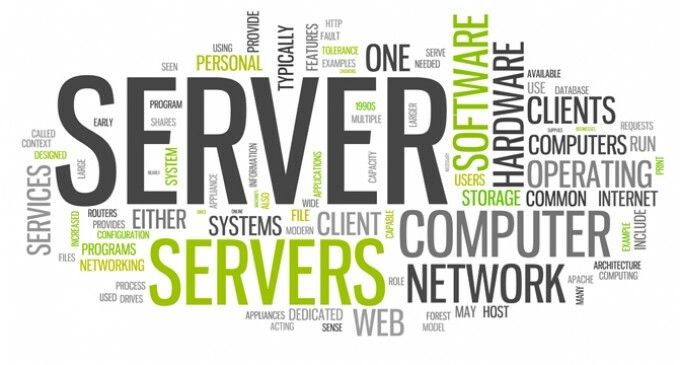 Dedicated servers are leased on a monthly or yearly basis. Businesses take advantage of this service so they don’t have to employ a team of IT professionals to manage and support the infrastructure. Dedicated Servers cost less than colocation services starting out. Equipment failures are often included and part of the monthly/yearly fee. No out of pocket money spent on upgrades or failures (replacement parts). Scalable option. Dedicated Server leasing companies have the inventory to provide clients with as many servers as they need in a fast delivery time-frame. Monthly/Yearly fixed pricing. The server cost will never change, even if the leasing fees have covered the initial investment of the equipment. There are some Dedicated Server providers that will charge extra fees if additional management assistance is needed. There are some providers that have very low-end equipment that is not backed by the Service Level Agreement (SLA). It is extremely important that one makes the right business decision when deciding on which option and which provider to go with. It is important to check out their credentials, reviews, and testimonials. Check how many years the company has been in business, data center locations, networks, etc. If it is a company that is just starting-out, its staff might not have the experience that your business requires. Yes, there are individuals who have had issues with certain hosting providers, because they just went by word of mouth and failed to check their credibility before giving them a shot. This can be a very frustrating matter to go through, but thankfully, it can be avoided when one takes precise measures. Search for reviews and ratings of businesses who have already tried the services of hosting providers. This company is currently the top choice for many businesses that are causing a big wave on the internet, right now. There are other good hosting providers, but they seem to fall short when they are compared to the quality of service Colocation America provides. Since the year 2000, Colocation America has been providing trusted hosting services that contain the highest level of scalability, reliability, and security. Whether a company is in need of a server backup for their data or a place to host their IT infrastructure, Colocation America has them covered. This company understands that your server is your business’ lifelines; therefore, they ensure that you’re business stays profitable, with a strong presence online. Colocation America offers fully managed server hosting so that you can focus on your business, not your I.T. Their most affordable Dedicated Server plan is just $99, while their most affordable Colocation plan is only $75. Many business owners have already tried Colocation America and are pleased with the results. The countless reviews that can be found on the internet can attest to this fact. Colocation America’s Colocation facilities are built to ensure that their clients get the redundant network the way they want and with the highest level of security they need. Built with N+1 redundancy on all networks, hardware, and power systems, Colocation America’s plans are ideal for any business that is searching for affordable solutions to their hosting needs. As you can tell, Colocation and Dedicated Server leasing pros outweigh their cons. For this reason, if you are currently the owner of a business and want to outsource your internet services, one of these two services would be something that you should consider opting for, as they can provide you with peace of mind and let you move on to other important areas of your business.